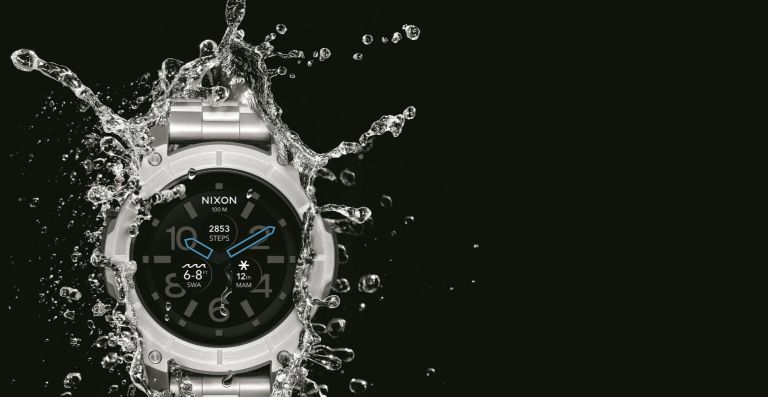 T3 Agenda: The ultra-rugged Nixon Mission SS smartwatch. The YouTube-friendly Blackout Spark SL mic. And more! Finally, a smartwatch that'll let you take the best wearable features with you while surfing a wave or carving a mountainside on your snowboard. The new Mission SS from Nixon has been built tough - that means it's 10 ATM water resistance with a patented MicLock Shock resistant polycarbonate case, and includes an ultra-tough Corning Gorilla Glass crystal Surgical grade stainless steel raised “roll cage” bezel. It's powered by Android Wear and runs on the latest Android Wear 2.0 software with expanded features for iPhone users. As an added bonus, the Mission works hand in hand with Surfline, the world’s largest and most credible source for surf conditions reporting, and Snocountry, the authority in mountain conditions. The Mission is even equipped with a pre-loaded app and streamlines real-time surf and snow shred alerts to your wrist so you’ll never not know. The Nixon Mission SS is available now from £389.00, direct from nixon.com. Blue Microphones has announced the launch of Blackout Spark SL. An XLR condenser mic that's designed for professional recording and streaming. Built with gamers, podcasters and YouTubers in mind, this USB microphone includes features such as a professional XLR connection that integrates perfectly with USB interfaces and mixers and a custom designed JFET condenser capsule that delivers consistent, detailed and transparent sound for a wide range of recording scenarios. It comes with a shockmount for easy connection to a boom arm or mic stand. You can order a Blue Microphones Blackout Spark SL mic today, from Amazon. for £169.99. Projector specialist Optoma is thrilled to announce the launch of its new flagship 4K UHD laser model, the UHZ65. Equipped with high-quality laser illumination, the UHZ65 offers consistent brightness, superior colour performance, instant on/off and a huge life span of up to 20,000 hours. With its full 8.3 million on-screen pixels, it guarantees razor sharp, vivid images capable of showing more details than standard HD. Packed with the latest features, the new model is whisper quiet and comes complete with integrated speakers that provide powerful 8W audio, with exceptional sound quality. S/PDIF audio output is also included, enabling connection to external sound systems. The UHZ65 will cost £4,999.99 and will be available later this month. If it is a hot drink or a cold drink you're hankering for, the new Ion8 Slim Water Bottle accommodates both with its temperature spectrum that ranges from -10oc to 96oc. The lid lock on the bottle prevents those leakage accidents you may have experienced with your average water bottle. The lid of this masterpiece is operated easily with one finger. It clicks reassuringly into place, which guarantees 100% leak proof, 100% of the time. It's available now for £9.99 via Amazon in four striking colours.